ONLY 45000 MILES, AUTO, GREAT FAMILY CAR IN EXCELLENT CONDITION, WITH FULL LEATHER UPHOLSTERY, HEATED SEATS, FRONT & REAR PARKING SENSORS WITH ON-SCREEN DISPLAY, AIRCON, ELECTRIC WINDOWS, ELECTRIC MIRRORS, FULL SERVICE HISTORY, NEW MOT, 2 KEYS, HPI CLEAR, 3 MONTHS WARRANTY FINANCE AVAILABLE EVEN FOR LESS THAN PERFECT CREDIT RATING, ALL CREDIT CARDS ACCEPTED +++ PART EXCHANGES WELCOME +++ DRIVE AWAY TODAY WITH OUR COMPLIMENTARY 5 DAY INSURANCE PLAN. VIEWING STRICTLY BY APPOINTMENT ONLY. PLEASE CALL US PRIOR TO VISITING ON 0208 908 4957 (during working hours, Monday-Friday) or 07970 743 554 (anytime up to 8pm), to make sure we have the vehicle you're after ready for your inspection. Please call us for more information about this vehicle or to make an appointment to view it at our showroom in Harrow, Middlesex. WE ARE AVAILABLE 7 DAYS A WEEK, STRICTLY BY APPOINTMENT ONLY. 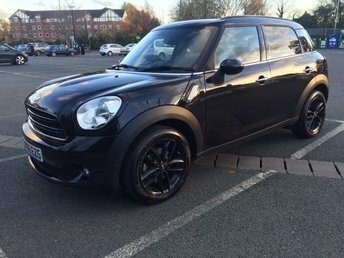 We are pleased to offer this car in excellent condition, with On-board Satellite Navigation, R-Design Leather & Alcantara Sports Upholstery, Auto Wipers, Auto Headlights, Dual Zone Climate Control, Aircon, Bluetooth, DAB, Voice Command, Start/Stop, Electric Folding Mirrors, 3 Months Manufacturers Warranty., DAB (Digital Audio Broadcasting) Radio, ECC (Electronic Climate Control) with Pollen Filter, Start/Stop System, 17in Ixion Alloy Wheels (Diamond Cut/Matt Black) - 225/45 R17 Tyres with Locking Wheel Nuts, Active TFT Crystal Drivers Information Display, Anti-Theft Alarm, Volume Sensor and Level Sensor, Bluetooth Handsfree System, Front and Rear Power Windows, High Performance Sound - Radio/CD, Hill Start Assist, IDIS (Intelligent Driver Information System), Tyre Pressure Monitoring System, WHIPS (Whiplash Protection System) (Front Seats). 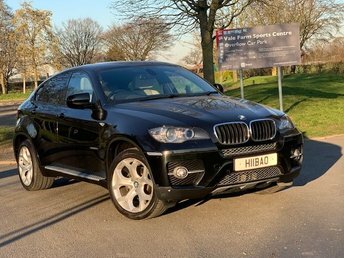 5 seats, Black, HPI CLEAR, FULL SERVICE HISTORY (JUST SERVICED), 2 KEYS. FINANCE CAN BE ARRANGED THROUGH RECOMMENDED FINANCE COMPANIES +++ ALL CREDIT CARDS ACCEPTED +++ PART EXCHANGES WELCOME +++ DRIVE AWAY TODAY WITH OUR COMPLIMENTARY 5 DAY INSURANCE PLAN. VIEWING STRICTLY BY APPOINTMENT ONLY. PLEASE CALL US ON 0208 908 4957 (during working hours, Monday-Friday) or 07970 743 554 anytime up to 8pm every day, PRIOR TO VISITING to make sure we have the vehicle ready for your inspection at our office. Please call us for more information about this vehicle or to make an appointment to view it at our premises in Harrow, Middlesex. For directions, please go to www.firstnationalcarsales.co.uk and look up under "CONTACT". WE ARE AVAILABLE 7 DAYS A WEEK, STRICTLY BY APPOINTMENT ONLY. THIS CAR IS IN EXCELLENT CONDITION WITH VERY LOW MILEAGE AND IN THE BEST COLOUR COMBINATION. 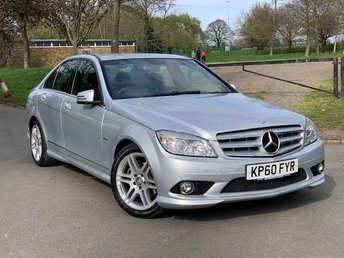 AUTO WITH 1/2 LEATHER, AIRCON, 17" ALLOYS, AUTO LIGHTS, RAIN-SENSING WIPERS, CRUISE CONTROL BLUETOOTH, SATNAV READY, 3 MERCEDES STAMPS PLUS 1 INDEPENDENT, JUST SERVICED, 12 MONTHS MOT (No Advisories), HPI CLEAR, 3 MONTHS WARRANTY (Can be extended). 5 seats, Metallic Blue FINANCE CAN BE ARRANGED THROUGH RECOMMENDED FINANCE COMPANIES +++ ALL CREDIT CARDS ACCEPTED +++ PART EXCHANGES WELCOME +++ DRIVE AWAY TODAY WITH OUR COMPLIMENTARY 5 DAY INSURANCE PLAN. VIEWING STRICTLY BY APPOINTMENT ONLY. PLEASE CALL US ON 0208 908 4957 (during working hours, Monday-Friday) or 07970 743 554 anytime up to 8pm every day, PRIOR TO VISITING to make sure we have the vehicle ready for your inspection at our office. Please call us for more information about this vehicle or to make an appointment to view it at our premises in Harrow, Middlesex. For directions, please go to www.firstnationalcarsales.co.uk and look up under "CONTACT". WE ARE AVAILABLE 7 DAYS A WEEK, STRICTLY BY APPOINTMENT ONLY. LOVELY CAR IN EXCELLENT CONDITION WITH TOUCH-SCREEN SATNAV, COLOUR REVERSE CAMERA, CRUISE CONTROL, CLIMATE CONTROL, 18" ALLOYS, REAR PRIVACY GLASS, BLUETOOTH, CD RADIO + MP3, USB PORT, ELECTRIC WINDOWS, 3 MONTHS WARRANTY, 2 KEYS, 12 MONTHS MOT, DEMO+1 OWNER, FULL HISTORY & JUST SERVICED, HPI CLEAR., 5 SEATS, WHITE. FINANCE CAN BE ARRANGED THROUGH RECOMMENDED FINANCE COMPANIES +++ ALL CREDIT CARDS ACCEPTED +++ PART EXCHANGES WELCOME +++ DRIVE AWAY TODAY WITH OUR COMPLIMENTARY 5 DAY INSURANCE PLAN. VIEWING STRICTLY BY APPOINTMENT ONLY. PLEASE CALL US ON 0203 797 1113 (during working hours, Monday-Friday) or 07970 743 554 anytime up to 8pm every day, PRIOR TO VISITING to make sure we have the vehicle ready for your inspection at our office. 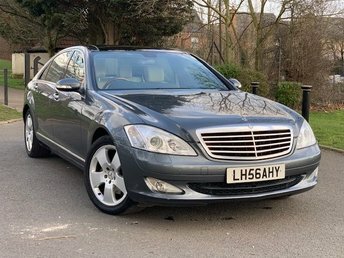 Please call us for more information about this vehicle or to make an appointment to view it at our premises in Harrow, Middlesex. For directions, please go to www.firstnationalcarsales.co.uk and look up under "CONTACT". WE ARE AVAILABLE 7 DAYS A WEEK, STRICTLY BY APPOINTMENT ONLY. NISSAN CONNECT NAVIGATION SYSTEM, PANORAMIC GLASS ROOF, ULTRASONIC REAR PARK SYSTEM, 360 AROUND VIEW CAMERAS, 18" ALLOYS, PART LEATHER TRIM, PRIVACY GLASS, AUTO WIPERS, AUTO LIGHTS, BLUETOOTH, CRUISE CONTROL, JUST SERVICED, NEW MOT, 4 NEW TYRES, 2 KEYS, HPI CLEAR, FOLDING MIRRORS, DUAL ZONE CLIMATE, PRIVACY GLASS, 2 OWNERS, 5 seats, White, FINANCE CAN BE ARRANGED THROUGH RECOMMENDED FINANCE COMPANIES +++ ALL CREDIT CARDS ACCEPTED +++ PART EXCHANGES WELCOME +++ DRIVE AWAY TODAY WITH OUR COMPLIMENTARY 5 DAY INSURANCE PLAN. VIEWING STRICTLY BY APPOINTMENT ONLY. PLEASE CALL US ON 0203 797 1113 (during working hours, Monday-Friday) or 07970 743 554 anytime up to 8pm every day, PRIOR TO VISITING to make sure we have the vehicle ready for your inspection at our office. Please call us for more information about this vehicle or to make an appointment to view it at our premises in Harrow, Middlesex. For directions, please go to www.firstnationalcarsales.co.uk and look up under "CONTACT". WE ARE AVAILABLE 7 DAYS A WEEK, STRICTLY BY APPOINTMENT ONLY. MASSIVE SPEC, LONG-WHEEL BASE (LIMOUSINE) WITH ALMOST EVERY POSSIBLE OPTION INCLUDED. ONLY 51000 MILES. SATNAV/DVD PLAYER + REVERSE CAMERA + ELECTRIC DOUBLE GLASS SUNROOF + BEIGE LEATHER SEATS + HARMAN KARDON AUDIO SYSTEM AND SPEAKERS + FRONT & REAR HEATED SEATS + FULLY ELECTRIC SEAT ADJUSTMENT ON ALL FRONT & REAR, INCLUDING HEADRESTS + MEMORY SEATS (DRIVER AND PASSENGER) + FULLY ADJUSTABLE SEAT AND BACKREST FOR REAR SEATS + AUTO LIGHTS + AUTO RAIN SENSORS + REAR FOLD UP TABLE + TEMPERATURE ADJUSTMENT FOR REAR PASSENGERS + CLIMATE CONTROL + CRUISE CONTROL + BLUETOOTH + FRONT AND REAR AUDIBLE PARKING SENSORS + AIRCON + WALNUT WOOD TRIM + ELECTRICALLY ADJUSTABLE STEERING WHEEL + ELECTRIC REAR WINDOW ELECTRIC BLIND + LEATHER STEERING WHEEL + TINTED GLASS + IN-CAR ENTERTAINMENT (Radio/CD/MP3/DVD) + SOFT CLOSING DOORS AND BOOT LID + BOOTLINER + FULL SERVICE HISTORY + NEW MOT WITH NO ADVISORIES + HPI CLEAR + 3 MONTHS WARRANTY (WHICH CAN BE EXTENDED FOR A SMALL CHARGE) + EXCELLENT CONDITION WITH NO VISIBLE MARKS INSIDE OR OUT. FINANCE CAN BE ARRANGED THROUGH RECOMMENDED FINANCE COMPANIES. PART EXCHANGES WELCOME. THIS CAR MUST BE SEEN, PHOTOS DON'T DO IT JUSTICE!! ORIGINALLY A MERCEDES BENZ DEMO CAR, AND OWNED BY 3 FAMILY MEMBERS SINCE (WITH PROOF, PREVIOUS V5'S AVAILABLE). VIEWING STRICTLY BY APPOINTMENT ONLY. PLEASE CALL US PRIOR TO VISITING ON 0208 908 4957 (during working hours, Monday-Friday) or 07970 743 554 (anytime up to 8pm), to make sure we have the vehicle you're after ready for your inspection. 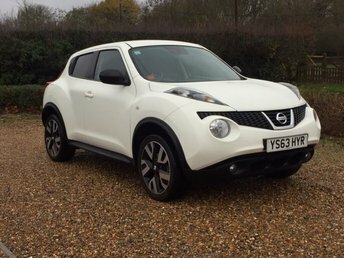 Please call us for more information about this vehicle or to make an appointment to view it at our showrooms in Harrow, Middlesex. WE ARE AVAILABLE 7 DAYS A WEEK, STRICTLY BY APPOINTMENT ONLY. Get the best deal on a used car for sale in Harrow by making your way to First National Car Sales UK Limited today. You will find every available model listed here on the website, and as all our stock is competitively priced you should have no problem sourcing a pre-owned to suit your budget. Take the opportunity to browse our current range online before contacting a member of the showroom team to find out more. Our friendly and knowledgeable staff will be more than happy to answer any questions and provide advice and guidance when necessary. Alternatively, why not pay a visit to our showroom in person and take a closer look at the selection of used car models for sale.